Salvia divinorum (also known as sage of the diviners, ska maría pastora, seer’s sage, yerba de la pastora or simply salvia) is a plant species with transient psychoactive properties when its leaves are consumed by chewing, smoking or as a tea. The leaves contain opioid-like compounds that induce hallucinations. Because the plant has not been well-studied in high-quality clinical research, little is known about its toxicology, adverse effects, or safety over long-term consumption. Its native habitat is cloud forest in the isolated Sierra Mazateca of Oaxaca, Mexico, where it grows in shady, moist locations. The plant grows to over a meter high, has hollow square stems like others in the mint family Lamiaceae, large leaves, and occasional white flowers with violet calyxes. Botanists have not determined whether Salvia divinorum is a cultigen or a hybrid because native plants reproduce vegetatively and rarely produce viable seed. Mazatec shamans have a long and continuous tradition of religious use of Salvia divinorum to facilitate visionary states of consciousness during spiritual healing sessions. Its chief active psychoactive constituent is a structurally unique diterpenoid called salvinorin A, a potent κ-opioid agonist. Although not thoroughly assessed, preliminary research indicates Salvia divinorum may have low toxicity (high LD50). The effects are rapid in onset and short-lasting. Salvia divinorum is legal in some countries and certain US states, while other states have passed laws criminalizing it. The genus name, Salvia, was first used by Pliny for a plant that was likely Salvia officinalis (common sage) and is derived from the Latin salvere. The specific epithet, divinorum, was given because of the plant’s traditional use in divination. It is often loosely translated as “diviner’s sage” or “seer’s sage”. Albert Hofmann, who collected the first plants with Wasson, objected to the new plant being given the name divinorum: “I was not very happy with the name because Salvia divinorum means “Salvia of the ghosts”, whereas Salvia divinatorum, the correct name, means “Salvia of the priests”. It is now in the botanical literature under the name Salvia divinorum. There are many common names for S. divinorum, including sage of the diviners, ska maría pastora, seer’s sage, yerba de la pastora or simply salvia. It is also used remedially at lower dosages as a diuretic, and to treat ailments including diarrhea, anemia, headaches, rheumatism, and a semi-magical disease known as panzón de borrego, or a swollen belly (literally, “lamb belly”). The history of the plant is not well known, and there has been no definitive answer to the question of its origin. Speculation includes Salvia divinorum being a wild plant native to the area; a cultigen of the Mazatecs; or a cultigen introduced by another indigenous group. Botanists have also not been able to determine whether it is a hybrid or a cultigen. Jean Basset Johnson, who studied Mazatec shamanism during the 1930s. Salvia divinorum was first recorded in print by Jean Basset Johnson in 1939 while he was studying Mazatec shamanism. He later documented its usage and reported its effects through personal testimonials. It was not until the 1990s that the psychoactive mechanism was identified by a team led by Daniel Siebert. Gordon Wasson tentatively postulated that the plant could be the mythological pipiltzintzintli, the “Noble Prince” of the Aztec codices. 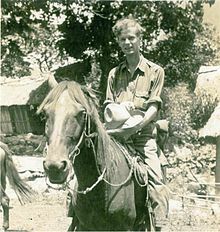 Wasson’s speculation has been the subject of further debate amongst ethnobotanists, with some scepticism coming from Leander J. Valdés, and counterpoints more supportive of Wasson’s theory from Jonathan Ott. The identity of another mysterious Aztec entheogen, namely that of poyomatli, has also been suggested as being Salvia divinorum. Here too there are other candidate plants, notably Cacahuaxochitl (Quararibea funebris), again suggesting that there is no consensus. Salvia divinorum has large green ovate (often also dentate) leaves, with a yellow undertone that reach 10 to 30 cm (4 to 12 in) long. The leaves have no hairs on either surface, and little or no petiole. The plant grows to well over 1 metre (3 ft) in height, on hollow square stems which tend to break or trail on the ground, with the plant rooting quite readily at the nodes and internodes. Early authors erred in describing the flowers as having blue corollas, based on Epling and Játiva’s description. The first plant material they received was dried, so they based the flower color on an erroneous description by Hofmann and Wasson, who didn’t realize that their “blue flowers, crowned with a white dome” were in fact violet calyces with unopened white corollas. Salvia divinorum is endemic to the Sierra Mazateca in the state of Oaxaca in Mexico, growing in the primary or secondary cloud forest and tropical evergreen forest at elevations from 300 to 1,830 metres (980 to 6,000 ft). Its most common habitat is black soil along stream banks where small trees and bushes provide an environment of low light and high humidity. Salvia divinorum produces few viable seeds even when it does flower—no seeds have ever been observed on plants in the wild. For an unknown reason, pollen fertility is also comparatively reduced. There is no active pollen tube inhibition within the style, but some event or process after the pollen tube reaches the ovary is aberrant. The likeliest explanations are inbreeding depression or hybridity. 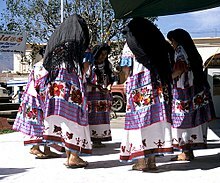 All of the Mazatec populations appear to be clonal. The plant’s square stems break easily and tend to trail on the ground, rooting easily at the nodes and internodes. 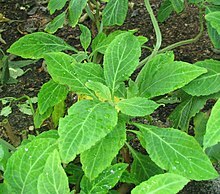 Salvia divinorum was first documented in 1939, but it was many years before botanists could identify the plant due to Mazatec secrecy about the growing sites. Flowers were needed for a definitive identification of the species. In 1962, the Swiss chemist Albert Hofmann, and ethnomycologist R. Gordon Wasson, traveled throughout the Sierra Mazateca researching Mazatec rituals and looking for specimens of the plant. They were unable to locate live plants. Eventually, the Mazatec provided them some flowering specimens. These specimens were sent to botanists Carl Epling and Carlos D. Játiva, who described and named the plant as Salvia divinorum, after its use in divination and healing by the Mazatec. By 1985, up to fifteen populations of the plant had been found. In 2010, a molecular phylogenetic approach by DNA sequencing of Salvia divinorum and a number of related species suggest that the species is not a hybrid. One earlier proposed parent was Salvia cyanea (a synonym for Salvia concolor), which Epling and Játiva believed to be closely allied to Salvia divinorum. [nb 2] The 2010 study demonstrated Salvia divinorum's closest relative to be Salvia venulosa—a rare and endemic Salvia that is native to Colombia, growing in shaded, wooded gullies at 1,500 to 2,000 m (4,900 to 6,600 ft) elevation. It also showed that Salvia divinorum does not belong to the Salvia section Dusenostachys, as believed earlier. The genetic study also indicated that Salvia venulosa was likely misplaced into Salvia section Tubiflorae, and that it may not be related to other Colombia Salvia species, though further tests are needed. The origin of Salvia divinorum is still a mystery, one of only three plants in the extensive genus Salvia (approximately 900 species) with unknown origins—the other two are Salvia tingitana and Salvia buchananii. There are two commonly cultivated strains which are known to be distinct. One is the strain that was collected in 1962 by ecologist and psychologist Sterling Bunnell (the Bunnell strain), colloquially mis-attributed as the Wasson-Hofmann strain. The other was collected from Huautla de Jiménez in 1991 by anthropologist Bret Blosser (the Blosser or Palatable strain). There are other strains that are not as well documented, such as the Luna strain (possibly Bunnell) isolated from a Hawaiian patch of Salvia divinorum clones, featuring unusually serrated and rounded rather than ovate leaves. Salvia divinorum is usually propagated through vegetative reproduction. Small cuttings, between two and eight inches (5 and 20 cm) long, cut off of the mother plant just below a node, will usually root in plain tap water within two or three weeks. Blooms occur when the day length becomes shorter than 12 hours (beginning in mid-October in some places), necessitating a shade cloth in urban environments with exposure to light pollution (HPS). The known active constituent of Salvia divinorum is a trans–neoclerodane diterpenoid known as salvinorin A (chemical formula C23H28O8). This compound is present in the dried plant at about 0.18%. Salvinorin A is not an alkaloid, (meaning it does not contain a basic nitrogen), unlike most known opioid receptor ligands. Salvinorin A is the first documented diterpene hallucinogen. Similar to many psychoactive herbs, Salvia divinorum synthesizes and excretes its active constituent (salvinorin A) via trichomes, of the peltate-glandular morphology, located just beneath the cuticle (subcuticular) layer. By mass, salvinorin A “is the most potent naturally occurring hallucinogen.” It is active at doses as low as 200 µg. Synthetic chemicals, such as LSD (active at 20–30 µg doses), can be more potent. Research has shown that salvinorin A is a potent and selective κ-opioid (kappa-opioid) receptor agonist. It has been reported that the effects of salvinorin A in mice are blocked by κ-opioid receptor antagonists. However, it is an even more potent D2 receptor partial agonist, and it is likely this action plays a significant role in its effects as well. Salvinorin A has no actions at the 5-HT2A serotonin receptor, the principal molecular target responsible for the actions of ‘classic’ hallucinogens, such as mescaline and LSD, nor is it known to have affinity for any other sites to date. Salvinorin’s potency should not be confused with toxicity. Rodents chronically exposed to dosages many times greater than those to which humans are exposed show no signs of organ damage. Other terpenoids have been isolated from Salvia divinorum, including other salvinorins and related compounds named divinatorins and salvinicins. None of these compounds has shown significant (sub-micromolar) affinity at the κ-opioid receptor, and there is no evidence that they contribute to the plant’s psychoactivity. Salvinorin A is capable of inhibiting excess intestinal motility (e.g. diarrhea), through a combination of κ-opioid and cannabinoid (mainly CB1 receptor) receptors in inflamed but not normal gut in vivo. The mechanism of action for Salvinorin A on ileal tissue has been described as ‘prejunctional’, as it was able to modify electrically induced contractions, but not those of exogenous acetylcholine. Results from a study at the University of Iowa indicate that it may have potential as an analgesic and as a therapeutic tool for treating drug addictions. There are a few ways to consume Salvia divinorum. In traditional Mazatec ritual, shamans use only fresh Salvia divinorum leaves. Modern methods have been developed to more effectively absorb the active principle, salvinorin A. If enough salvinorin A is absorbed, an altered state of consciousness can occur. The duration of experience varies with the method of ingestion and the amount of salvinorin A absorbed. Mazatec shamans crush the leaves to extract leaf juices from about 20 to 80 (about 50g/2 oz to 200g/7 oz.) or more fresh leaves. They usually mix these juices with water to create an infusion or ‘tea‘ which they drink to induce visions in ritual healing ceremonies. Chewing and swallowing a large number of fresh leaves is the other Mazatec method. Oral consumption of the leaf makes the effects come on more slowly, over a period of 10 to 20 minutes. The experience, from the onset of effects, lasts from about 30 minutes up to one and a half hours. Doses for chewing vastly exceed doses used for smoking. By calculating the concentrations per leaf (“an average concentration of 2.45 mg per gram” of leaf), the average weight per leaf (“about 50 g” per 20 leaves, or 2.5g/leaf), and the standard dose for chewing (about 8-28 leaves), the doses can range from about 50 mg to 172 mg.
0.5 g. of 25x S. divinorum extract. Salvia divinorum is becoming more widely known and used in modern culture. The National Survey on Drug Use and Health, an annual US based survey sponsored by the Substance Abuse and Mental Health Services Administration (SAMHSA), for 2006 estimated that about 1.8 million persons aged 12 or older had used Salvia divinorum in their lifetime, of which approximately 750,000 had done so in that year. The following year, 2007, saw the annual figure rise from 750,000 to 1 million US users. Dry leaves can be smoked in a pipe, or through the use of a water pipe to cool the smoke. The temperature required to release salvinorin from the plant material is quite high (about 240 °C). A cooler flame will work, but the direct application of a more intense flame, such as that of a torch lighter, is often preferred. These grades of potency may be roughly indicative of the relative concentration of the active principle, (salvinorin A), but the measure should not be taken as absolute. Overall extract potency will depend on the (naturally varying) strength of the untreated leaf used in preparing the extract, as well as the efficiency of the extraction process itself. Extracts reduce the overall amount of inhalations needed to ingest a given amount of active principle, thus facilitating more powerful experiences. If salvia is smoked, then the main effects are experienced quickly. The most intense ‘peak’ is reached within a minute or so and lasts for 1–5 minutes, followed by a gradual tapering off. At 5–10 minutes, less intense yet still noticeable effects typically persist, giving way to a returning sense of the everyday and familiar until back to baseline after about 15 to 20 minutes. The traditional method of chewing the leaves has continued in modern use. However, salvinorin A is generally considered to be inactive when orally ingested, as salvinorin A is effectively deactivated by the gastrointestinal system. Therefore, in what’s understood to be a modern innovation, the ‘quid‘ of leaves is held in the mouth as long as possible in order to facilitate absorption of the active constituents through the oral mucosa. ‘Quid’ refers to the fact that at the end of this method the user spits out the leaves rather than swallowing them because ingesting the leaves has no known effect. Chewing consumes more of the plant than smoking, and produces a longer-lasting experience. Less commonly, some may ingest salvia in the form of a tincture. This is administered sublingually, usually with the aid of a glass dropper. It may be taken diluted with water just before use, which may slightly reduce the intensity of its effects, but can also serve to lessen or avoid a stinging sensation in the mouth caused by the presence of alcohol. Tinctures vary in potency, and the effects can range from inducing a mild meditative state to bringing about a more intense visionary one. Aside from individual reported experiences there has been a limited amount of published work summarising salvia divinorum effects. A survey of salvia users found that 38% described the effects as unique in comparison to other methods of altering consciousness. 23% said the effects were like yoga, meditation or trance. Users have written prose about their experiences; some describing their visions pictorially, and there exist examples of visionary art which are ‘salvia-inspired’. Others claim musical inspiration from the plant. Dale Pendell expresses some concerns about the use of highly concentrated forms of salvia. In its natural form salvia is more balanced and benevolent, and quite strong enough, he argues. High strength extracts on the other hand can show “a more precipitous, and more terrifying, face” and many who try it this way may never wish to repeat the experience. An ABC news report said excitement over research into Salvia “could vanish overnight if the federal government criminalized the sale or possession of salvia, as the Drug Enforcement Agency [sic] is considering doing right now.” A proposed Schedule I classification would mean (among other things) that there’s no “currently accepted medical use” as far as the United States government is concerned. Scientists worry that such legislation would restrict further work. Mendelsohn said scheduling salvia could scare away a great deal of research and development into salvia’s therapeutic promise. Salvia extract as it is commonly sold in stores where it is legal. The relatively recent emergence of Salvia divinorum in modern Western culture, in comparison to its long continuing traditions of indigenous use, contrasts widely differing attitudes on the subject. Opinions range from veneration of the plant as a spiritual sacrament or “a gift from the gods”, to ‘threat to society’, to be banned as quickly as possible in order to “spare countless families the horror of losing a loved one to the relentless tentacles of drug abuse”. Interest in Salvia divinorum has been escalating in the news media, particularly in the United States, where an increasing number of newspaper reports have been published and television news stories broadcast. These stories generally raise alarms over salvia’s legal status, for example comparing it to LSD, or describing it as “the new pot”, with parental concerns being raised by particular focus on salvia’s use by younger teens. Story headlines may also include ‘danger’ keywords, such as “Dangerous Herb is Legal…” or “Deadly Dangers Of A Street Legal High”. Mainstream news coverage and journalistic opinion has widely been negative on the subject. In a local news report aired on ABC affiliate WJLA in Washington, DC on July 11, 2007, the anchors are seen to exchange expressions of incredulity when referring to a salvia story with the following introduction “Now, an exclusive I-Team investigation of a hallucinogenic drug that has begun to sweep the nation. What might amaze you is that right now the federal government is doing nothing to stop it”. Many salvia media stories headline with comparisons to LSD. However, while LSD and salvinorin A may have comparative potencies, in the sense that both can produce their effects at low dosages, they are otherwise quite different. The two substances are not chemically similar or related, as salvinorin A is found naturally in a single plant while LSD is chemically semisynthesized from lysergamides like ergotamine. They are ingested in different ways and produce different effects, which manifest themselves over different timescales. For example, the effects of salvia when smoked typically last for only a few minutes as compared to LSD, whose effects can persist for 8–12 hours. A particular focus of many US media stories is the long-running coverage of the case of Brett Chidester, a 17-year-old Delaware student who committed suicide in January 2006 by carbon monoxide poisoning. Reportedly, some months before this, Brett’s mother Kathleen Chidester had learned about his salvia use and questioned him about it. Brett said that he had ceased his experimentation, but his parents did not believe that he was telling the truth. They have instead argued that salvia-induced depression was largely to blame for his death. Some of Brett’s earlier writings about his salvia experiences have been used to suggest that it made him think “existence in general is pointless.” Some media stories have referred to these earlier written experience reports as if they were part of Brett’s suicide note. In any case, a law was soon passed in Delaware classifying the herb as a Schedule I controlled substance in that state. This legislation was nicknamed Brett’s law (formally referred to as Senate bill 259). Nebraska Senator Vickie McDonald responded with “Anytime anything’s on YouTube it’s an issue,” and “Legislators, parents, grandparents, we need to be on top of these things,” McDonald proposed Schedule I listing Salvia divinorum as part of their Controlled Substances Act, under which possession of salvia would have been considered a Class IV felony with a penalty of up to five years and trafficking would have fallen under a Class III felony with up to a 20 year penalty. In Massachusetts, YouTube videos were shown by a retired police officer to public health and judiciary committees as evidence in favor of outlawing it there. The issue has been raised of whether the salvia videos are in breach of YouTube’s own community guidelines, which ask users not to “cross the line” and post videos showing “bad stuff” like “drug abuse”. The question is considered as particularly problematical as the videos may be something of an enforcement grey area. Many countries control Salvia divinorum in some manner. As of 2015, it is illegal in Australia, Belgium, Canada, Croatia, Czech Republic, Denmark, Germany, Hong Kong, Italy, Japan, Latvia, Lithuania, Poland, Portugal, Republic of Ireland, Romania, South Korea, Sweden and Switzerland. It is legal to possess and grow in Chile, France and Spain, but not to sell. In Russia, it is legal to possess, but not grow or sell. Estonia, Finland, Iceland and Norway treat it as a medicinal herb that requires a prescription. The prohibitive degree of Salvia divinorum legislation varies widely from country to country. Australia has imposed its strictest ‘schedule 9‘ (US Schedule I equivalent), and Italy has also placed salvia in its ‘Table I’ of controlled substances (also US Schedule I equivalent). In Spain, there are controls focusing only on the commercial trade of Salvia divinorum, personal cultivation (i.e. for non-commercial use) is not targeted. Legislation may prove difficult to enforce. The plant has a nondescript appearance; unlike many other drug plants, the leaves are non-descript, and without a detectable odour. Salvia divinorum can be grown as an ordinary houseplant without the need of special equipment such as hydroponics or high-power lights. In the United Kingdom, following a local newspaper story in October 2005, a parliamentary Early Day Motion was raised calling for Salvia divinorum to be banned there. However, it only received 11 signatures. A second motion raised in October 2008 attracted 18 signatures, and it was reported that Mann had also written to Jacqui Smith, then Home Secretary. The Advisory Council on the Misuse of Drugs, the independent body that advises UK government on drugs, was asked to investigate further. On the 28 January 2016, the Psychoactive Substances Act 2016 was passed. The act came into force on 26 May 2016, across the entire United Kingdom, making salvia illegal to possess with intent to supply, possess on custodial premises, supply, import for human consumption, or produce for human consumption. The two sponsors for the bill were Conservative House of Lords member Michael Bates and Conservative MP Theresa May. National legislation for amendment of the Controlled Substances Act to place salvinorin A and Salvia divinorum in Schedule I at the federal level in the United States was proposed in 2002 by Representative Joe Baca (D– California). Those opposed to bill HR 5607 include Daniel Siebert, who sent a letter to Congress arguing against the proposed legislation, and the Center for Cognitive Liberty and Ethics (CCLE), who sent key members of the US Congress a report on Salvia divinorum and its active principle, along with letters from an array of scientists who expressed concern that scheduling Salvia divinorum would negatively impact important research on the plant. The bill did not pass. Although salvia is not regulated under the Controlled Substances Act, as of 2009, it had been made illegal in 13 states. Delaware banned it after the Salvia use was reported to have played a role in the suicide of a teenager. Alabama, Delaware, Illinois, Louisiana, Michigan, Missouri, Ohio, Texas and others, have passed their own laws. Several other states have proposed legislation against salvia, including Alaska, California, Florida, Iowa, Maryland, New Jersey, New York, Oregon, and Pennsylvania. Many of these proposals have not made it into law, with motions having failed, stalled or otherwise died, for example at committee review stages. Where individual state legislation does exist, it varies from state to state in its prohibitive degree. Legal consequences may also exist even in states without bans on salvia in particular. Christian Firoz, a Nebraska store owner, was charged for selling salvia, but not under the auspices of any specific law against Salvia divinorum. Firoz was instead charged under a general Nebraskan statute where it is illegal to sell a product to induce an intoxicated condition. See also the legal status of salvia in North Dakota and Nebraska). Salvia divinorum has been banned by various branches of the U.S. military and some military bases. Some internet vendors will not sell live salvia cuttings, leaf, or leaf products to states where its use is restricted or prohibited. Per their drugs and drug paraphernelia policy, eBay does not permit sale of Salvia divinorum or derived products (despite legality in most areas). Concerns expressed by some politicians on the subject of salvia reflect those of the media, with comparisons to LSD and particular focus on “protecting our children” being echoed; and with legislative proposals following soon after news stories breaking. Some arguments against salvia have been of a preventative nature, “We need to stop this before it gets to be a huge problem not after it gets to be a huge problem,” or of an imitative nature, “The Australians have clearly found a problem with it. There’s obviously a risk in people taking it.” Concerns about driving while under the influence of salvia have also been expressed. Opponents of more prohibitive measures against salvia argue that such reactions are largely due to an inherent prejudice and a particular cultural bias rather than any actual balance of evidence, pointing out inconsistencies in attitudes toward other more toxic and addictive drugs such as alcohol and nicotine. [nb 5][nb 6] While not objecting to some form of legal control, in particular with regard to the sale to minors or sale of enhanced high-strength extracts, most salvia proponents otherwise argue against stricter legislation. Despite its growing notoriety in some circles, media stories generally suggest that the public at large are still mostly unaware of salvia, with the majority perhaps having never even heard of it. Although published responses may not necessarily be representative of public opinion as a whole, some news agencies generally support reader and viewer feedback in connection with their stories. ^ Botanist Valdés (1987), wrote that, “It is doubtful that the Salvia is a true cultigen”, based partly on his belief that it was first “collected in the highlands and planted in more accessible places, where it becomes naturalized”. The main cultigen proponent is Gordon Wasson, who is not a botanist. ^ Reisfield is unsure why Epling “used the invalid name (the synonym rather than the valid name S. concolor), nor why he considered this species close to S. divinorum“. ^ In fact the video is one in a series of parodies featuring Erik J. Hoffstad, a production assistant in Los Angeles. In the film Hoffstad smokes salvia in a parked car (his friends reportedly making sure he did not have the real keys). ^ The reporter noted that Sak had received more money from the Michigan Beer and Wine Wholesalers Association than anyone else in the House. According to the National Institute on Money in State Politics, the Michigan Beer and Wine Wholesalers Association was the highest contributor to Zak’s 2006 political campaign. ^ According to the National Institute on Money in State Politics, which indicates the major sources of campaign contributions for U.S. politicians, a large part of contributions to U.S. Congressional campaigns comes from alcohol and tobacco industries. For example, Oregon Representative John Lim“s third largest individual campaign sponsor in 2006 was the Oregon Beer & Wine Distributors Association Lim(R) argued for Schedule I classification of Salvia in Oregon. Former Delaware Senator Karen Peterson’s second largest group campaign donations in 2006 came from “Beer, Wine & Liquor” industries. Peterson(D) introduced Schedule I classification of Salvia divinorum in Delaware. Senator Tim Burchett(R) sponsored Salvia legislation in Tennessee. In 2006, his second largest individual campaign donation came from the Tennessee Malt Beverage Association. In the same period alcohol and tobacco related contributions amounted to the fourth largest industry contributions for Utah Representative Paul Ray(R). Representative Ray submitted a bill calling for Schedule I classification of Salvia in that state. Alcohol related contributions also featured highly for Illinois Representative Dennis Reboletti(R) “Beer, Wine & Liquor” was his ninth highest industry contributor in 2006 and 2008. Representative Reboletti sponsored a bill for Schedule I classification of Salvia divinorum in Illinois. ^ The worldwide number of alcohol-related deaths is calculated at over 2,000 people per day, in the US the number is over 300 deaths per day. ^ Other entheogenic plants with continuing traditions principally of spiritual use include peyote (and other psychoactive cacti), iboga, virola, ayahuasca, and various types of psychoactive fungi. Current U.S. Federal law allows two of these to be used in a spiritual context. The Native American Church is permitted use of peyote; the União do Vegetal (or UDV) is permitted use of ayahuasca. Although not consistently granted (varying from state to state), the principal grounds for such concessions are constitutional, with further grounds following from the Religious Freedom Restoration Act. ^ a b c d e f Valdés, Díaz & Paul 1983, p. 287. ^ a b c “Salvia divinorum”. Drugs.com. 2018. Retrieved 8 January 2018. ^ a b c Butelman, Eduardo R; Kreek, Mary Jeanne (2015). “Salvinorin A, a kappa-opioid receptor agonist hallucinogen: Pharmacology and potential template for novel pharmacotherapeutic agents in neuropsychiatric disorders”. Frontiers in Pharmacology. 6: 190. doi:10.3389/fphar.2015.00190. PMC 4561799. PMID 26441647. ^ a b c d Reisfield 1993, Introduction. ^ a b c Valdes 1987, p. 106. ^ a b Marushia 2002, p. 3. ^ a b c d e Reisfield 1993, The Barrier to Fertility. ^ Prisinzano 2006, p. 527. ^ a b Imanshahidi & Hosseinzadeh 2006, p. 430. ^ a b c d Roth et al. 2002, p. abstract. ^ a b Mowry, Mosher & Briner 2003, p. 382. ^ a b c DEA 2008. ^ a b c Boire 2002. ^ Medana et al. 2005, p. 131. ^ a b Valdés, Díaz & Paul 1983, p. 288. 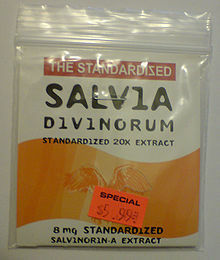 ^ “‘Salvia divinorum’“. Natural Resources Conservation Service PLANTS Database. USDA. Retrieved 28 October 2015. ^ a b c Valdés, Díaz & Paul 1983. ^ Marushia 2002, p. 6. ^ a b Marushia 2002, p. 2. ^ Valdés, Díaz & Paul 1983, p. 290. ^ a b Marushia 2002, p. 11. ^ a b Ott 1995. ^ a b Giroud 2000. ^ a b c d e Clebsch & Barner 2003, p. 106. ^ Reisfield 1993, Previous Research. ^ Marushia 2002, p. 4. ^ Reisfield 1993, Distribution, Ecology, & Flower Initiation. ^ a b Jenks, Aaron A.; Walker, Jay B.; Kim, Seung-Chul (2010). “Evolution and origins of the Mazatec hallucinogenic sage, Salvia divinorum (Lamiaceae): a molecular phylogenetic approach”. Journal of Plant Research. 124 (5): 593–600. doi:10.1007/s10265-010-0394-6. PMID 21125306. ^ Reisflield 1987, p. 199. ^ Foley 1993, p. 56. ^ “Growing your OWN Salvia divinorum Seeds: A Simple Step by Step Illustrated Guide”. Archived from the original on 2011-01-12. Retrieved 2011-02-10. ^ a b c Prisinzano 2006, p. 528. ^ Harding, Schmidt & Tidgewell 2006, p. 107. ^ a b Imanshahidi & Hosseinzadeh 2006, p. 431. ^ Greiner T; Burch NR; Edelberg R (1958). “Psychopathology and psychophysiology of minimal LSD-25 dosage; a preliminary dosage-response spectrum”. AMA Arch Neurol Psychiatry. 79 (2): 208–10. doi:10.1001/archneurpsyc.1958.02340020088016. PMID 13497365. ^ Zhang et al. 2005, p. abstract. ^ Seeman et al. 2009. ^ Bigham et al. 2003. ^ Munro & Rizzacasa 2003. ^ Prisinzano, Tidgewell & Harding 2005. ^ a b c d e Sage Student – Sd User Guide. ^ Harrison. The Leaves of the Shepherdess. 2000..
^ a b c Siebert (FAQ)—Section VI. ^ a b Siebert (Smoke advice). ^ Baggott & Erowid 2004, p. 14. ^ a b Terry 2007-10-03 (US Media). ^ DEA 2002, title 21, section 812. ^ a b Schaper 2006-03-20 (US Media). ^ a b Cardall 2006-12-12 (US Media). ^ Shafer 2008-05-06 (US Media). ^ a b c Martell 2007-06-18 (US Media). ^ Devine 2007-02-19 (US Media). ^ Blake 2006-11-13 (US Media). ^ a b Dujanovic 2006-11-27 (US Media). ^ Quinones 2006-11-30 (US Media). ^ a b c Baskin 2007-07-11 (US Media). ^ a b c Chancellor 2008-03-14 (US Media). ^ a b c d Anderson 2006-04-13 (US Media). ^ Michael 2009-01-28 (US Media). ^ Sontaya 2007-05-10 (US Media). ^ Allday 2007-06-27 (US Media). ^ a b Sack 2008-09-08 (US Media). ^ McNamara 2008-04-30 (US Media). ^ a b c d e f MiSP 2006. ^ White 2008-01-08 (US Media). ^ a b Berry 2008-01-07 (US Media). ^ Sege 2008-07-22 (US Media). ^ Sarno 2008-09-12 (US Media). ^ a b c Erowid (Legal status). ^ a b c d e Siebert (Legal status). ^ DRCNet 2008-04-25 (US Media). ^ Michael 2008-08-03 (US Media). ^ The case of North Dakota resident Kenneth Rau is reported as likely being the first person charged for Salvia divinorum possession in the United States. ^ Early day motion 2235. Parliament UK. Retrieved 12 July 2017. ^ a b Mason 2009-01-30 (US Media). ^ “Code of Alabama 1975”. Alabama Legislature. p. Section 13A–12–214.1. Archived from the original on 6 July 2014. Retrieved 17 March 2011. ^ “TX HB124 – 2013-2014 – 83rd Legislature”. ^ “Erowid Salvia Divinorum Vault : Legal Status”. Erowid.org. Retrieved 2011-05-01. ^ Sheri Kangas (2007-09-19). “Hallucinogenic Salvia illegal for military members”. .hurlburt.af.mil. Archived from the original on 2011-07-20. Retrieved 2011-05-01. ^ Hoyle 2008-03-12 (US Media). ^ a b Dujanovic 2006-11-28 (US Media). ^ Follow The Money, Industry Influence. ^ Reboletti 2007 (Jan), full text – p.7. ^ Tompkins 2007-07-13 (US Media). Babu, Kavita M.; McCurdy, Christopher R.; Boyer, Edward W. (2008). “Opioid receptors and legal highs: Salvia divinorum and Kratom”. Clinical Toxicology. 46 (2): 146–152. doi:10.1080/15563650701241795. PMID 18259963. Beifuss, Will (Summer 1997). “Cultivating Diviner’s Sage – A step by step guide to cultivation, propagation, and keeping your Salvia plants happy”. Issue 1. The Resonance Project. Retrieved 2009-11-16. Bigham, Andrea K.; Munro, Thomas A.; Rizzacasa, Mark A.; Robins-Browne, Roy M. (July 2003). “Divinatorins A-C, New Neoclerodane Diterpenoids from the Controlled Sage Salvia divinorum“ (PDF). Journal of Natural Products. 66 (9): 1242–1244. CiteSeerX 10.1.1.693.6690. doi:10.1021/np030313i. PMID 14510607. Retrieved 2007-06-25. Boire, Richard Glen; Russo, Ethan; Fish, Adam Richard; et al. (October 2002). “Salvia divinorum ~ Information Concerning the Plant and its Active Principle—(re. H.R. 5607)”. The Salvia divinorum Defense Fund. Center for Cognitive Liberty & Ethics (CCLE). Retrieved 2007-10-16. Burchett, Sen. Tim (2006). “Senate Bill No. 3247” (PDF). Public Acts, 2006, Chapter No. 700. The General Assembly the State of Tennessee. Archived from the original (PDF) on 2007-10-04. Retrieved 2007-10-16. Capasso, R.; Borrelli, F.; Capasso, F.; Siebert, D. J.; Stewart, D. J.; Zjawiony, J. K.; Izzo, A. A. (2006). “The hallucinogenic herb Salvia divinorum and its active ingredient salvinorin A inhibit enteric cholinergic transmission in the guinea-pig ileum”. Neurogastroenterology & Motility. 18 (1): 69–75. doi:10.1111/j.1365-2982.2005.00725.x. PMID 16371085. Capasso, R.; Borrelli, F.; Zjawiony, J. K.; Kutrzeba, L.; Aviello, G.; Sarnelli, G.; Capasso, F.; Izzo, A. A. (2008). “The hallucinogenic herb Salvia divinorum and its active ingredient salvinorin A reduce inflammation-induced hypermotility in mice”. Neurogastroenterology & Motility. 20 (2): 142–148. Carlezon, William A.; Béguin, Cécile; DiNieri, Jennifer A.; et al. (October 2005). “Depressive-Like Effects of the κ-Opioid Receptor Agonist Salvinorin A on Behavior and Neurochemistry in Rats”. Journal of Pharmacology and Experimental Therapeutics. 316 (1): 440–447. CiteSeerX 10.1.1.693.4079. doi:10.1124/jpet.105.092304. PMID 16223871. Retrieved 2007-05-04. CCLE (2002). “HR 5607 Archive”. The Entheogens and Drug Policy Project. Center for Cognitive Liberty & Ethics. Retrieved 2007-10-14. Clebsch, Betsy; Carol D. Barner (2003). The New Book of Salvias. Timber Press. ISBN 978-0-88192-560-9. Coolman, Alex (2007). “Brett Chidester and Salvia: “Suicide Solution” Redux”. Drug Law, Policy and Politics in California, the Ninth Circuit, and the United States. Archived from the original on 2008-01-17. Retrieved 2009-07-26. DEA (US Dept. Justice) (January 2002). “21 USC Sec. 812 01/22/02”. Controlled Substances Act—Title 21—Food and Drugs Chapter 13—Drug Abuse Prevention and Control Subchapter I—Control and Enforcement Part B—Authority To Control; Standards and Schedules—Section 812. Schedules of controlled substances. U.S. Drug Enforcement Administration (DEA). Archived from the original on September 30, 2007. Retrieved 2007-10-06. DEA (US Dept. Justice) (June 2003). “Information Bulletin: Salvia Divinorum”. Microgram Bulletin. XXXVI (6). Archived from the original on 2007-10-14. Retrieved 2007-10-14. DEA (US Dept. Justice) (June 2008). “Salvia Divinorum and Salvinorin A”. Drugs and Chemicals of Concern. Office of Diversion Control—U.S. Drug Enforcement Administration (DEA). Archived from the original on 11 January 2010. Retrieved 2008-09-15. Diaz, J.L. (April 1977). “Ethnopharmacology of Sacred Psychoactive Plants Used by the Indians of Mexico”. Annual Review of Pharmacology and Toxicology. 17: 647–675. doi:10.1146/annurev.pa.17.040177.003243. PMID 17363. Dweck, Anthony C. (1997) Chapter One: The Folklore and Cosmetic Use of Various Salvia Species. Retrieved July 21, 2007.
eBay (2009). “Drugs and drug paraphernalia policy”. eBay. Retrieved 28 November 2009. Erowid (August 2007). “Cacahuaxochitl”. Retrieved 2007-08-16. Foley, Michael J.; Hedge, Ian; Moller, Michael (2008). “The enigmatic Salvia tingitana (Lamiaceae): a case study in history, taxonomy and cytology” (PDF). Willdenowia. 38: 41–59. doi:10.3372/wi.38.38102. ISSN 0511-9618. Archived from the original (PDF) on 2009-03-18. Retrieved 2009-04-02. Giroud, C.; Felber F.; Augsburger M. (2000). “Salvia divinorum: an hallucinogenic mint which might become a new recreational drug in Switzerland” (PDF). Forensic Science International. 112 (2): 143–150. doi:10.1016/S0379-0738(00)00180-8. PMID 10940599. Grof, Stanislav (Fall 2001). “Stanislav Grof interviews Dr. Albert Hofmann Esalen Institute, Big Sur, California, 1984”. Maps: Multidisciplinary Association for Psychedelic Studies. XI (2). Grundmann (2007). “Salvia divinorum and Salvinorin A: An Update on Pharmacology and Analytical Methodology”. Retrieved 2009-10-04. Hanes, Karl R. (December 2001). “Antidepressant Effects of the Herb Salvia Divinorum: A Case Report”. Journal of Clinical Psychopharmacology. 21 (6): 634–635. doi:10.1097/00004714-200112000-00025. PMID 11763023. Retrieved 2007-05-08. Harding, Wayne W; Tidgewell Kevin; Schmidt Matthew; Shah Kushal; Dersch Christina M; Snyder John; Parrish Damon; Deschamps Jeffrey R; Rothman Richard B; Prisinzano Thomas E (2005). Salvinicins A and B, new neoclerodane diterpenes from Salvia divinorum. Organic letters 7(14):3017–20. Harding, Wayne W.; Schmidt, Matthew; Tidgewell, Kevin; Kannan, P; Holden, KG; Gilmour, B; Navarro, H; Rothman, RB; Prisinzano, TE (January 2006). “Synthetic Studies of Neoclerodane Diterpenes from Salvia divinorum: Semisynthesis of Salvinicins A and B and Other Chemical Transformations of Salvinorin A”. Journal of Natural Products. 69 (1): 107–112. doi:10.1021/np050398i. PMC 2544632. PMID 16441078. Harrison, Kathleen (2000). “The Leaves of the Shepherdess”. Sisters of the Extreme. Retrieved 2010-04-03. The curandero unrolled banana-leaf bundles of hand-sized Salvia divinorum leaves, slightly wilted, and sorted them into pairs… He doled out forty pairs to me, rolled them into a long wad, rather like a salad rolled into a cigar. He explained that after he said the invoking prayers and we stated aloud our intentions, I was to eat the leaves. I was told not to hesitate at their bitterness, not to stop until I had eaten them all. Imanshahidi, Mohsen; Hosseinzadeh, Hossein (April 2006). “The Pharmacological Effects of Salvia species on the Central Nervous System”. Phytotherapy Research. 20 (6): 427–437. doi:10.1002/ptr.1898. PMID 16619340. Archived from the original on 2012-12-10. Retrieved 2007-03-24. However, when smoked (in a manner similar to free base cocaine), the compound is effective in doses of 200–500 μg and produces visions that last from 30 min to an hour or two, while doses over 2 mg are effective for much longer. At doses greater than 500 μg the subject is often no longer aware of their surroundings and may enter an uncontrollable delirium. This compound is the most potent naturally occurring hallucinogen thus far isolated. Kintzios, Spiridon E. (2000). Sage: The Genus Salvia. CRC Press. p. 10. ISBN 978-90-5823-005-8. Kunkel, Dennis (2004). “Leaf glandular trichome (Salvia divinorum)”. Scientific stock photography library of light microscope pictures and electron microscopy images featuring science and biomedical microscopy photos. Dennis Kunkel Microscopy, Inc. Archived from the original on October 31, 2007. Retrieved 2009-04-13. Lizard (2001). “Green Gnosis (from Salvia Divinorum Inspired Arts)”. The Salvia divinorum Research and Information Center. Retrieved 2007-06-28. Lopez, Alan D (April 2005). “The evolution of the Global Burden of Disease framework for disease, injury and risk factor quantification: developing the evidence base for national, regional and global public health action”. Globalization and Health. 1 (5): 5. doi:10.1186/1744-8603-1-5. PMC 1143783. PMID 15847690. Table 2. Global burden of disease and injury attributable to selected risk factors, 1990. Madison, James et al.. The Bill of Rights, the First Amendment (with regard to the United States Constitution), approved September 25, 1789, ratified December 15, 1791. Mann, John (MP) (October 2005). “EDM 796—Salvia divinorum”. Early Day Motion. Parliamentary Information Management Systems (pims). Retrieved 2007-10-14. Marushia, Robin (June 2003). “Salvia divinorum: The Botany, Ethnobotany, Biochemistry and Future of a Mexican Mint” (PDF). Ethnobotany. Archived from the original (PDF) on 2007-10-07. Retrieved 2007-05-04. Mercury House Publishing Home Page. Mercury House Authors: Dale Pendell. Retrieved July 21, 2007. MiSP (2006). “Follow the Money”. e. g. Delaware/Peterson, Oregon/Lim, Tennessee/Burchett, Ray/Utah, Illinois/Reboletti. The National Institute on Money in State Politics. Retrieved 2007-10-16. Mowry, Mark; Mosher, Michael; Briner, Wayne (July 2003). “Acute Physiologic and Chronic Histologic Changes in Rats and Mice Exposed to the Unique Hallucinogen Salvinorin A” (PDF). Journal of Psychoactive Drugs. 35 (3): 379–382. doi:10.1080/02791072.2003.10400021. PMID 14621136. Retrieved 2007-05-04. NIAAA (August 2001). “Number of deaths and age-adjusted death rates per 100,000 population for categories of alcohol-related (A-R) mortality, United States and States, 1979–96”. Database Resources / Statistical Tables. National Institute on Alcohol Abuse and Alcoholism (NIAAA). Archived from the original on 2007-08-07. Retrieved 2007-10-20. Nutt, David; King, Leslie; Saulsbury, William; Blakemore, Colin (March 2007). “Development of a rational scale to assess the harm of drugs of potential misuse”. The Lancet. 369 (9566): 1047–1053. doi:10.1016/S0140-6736(07)60464-4. PMID 17382831. Retrieved 2007-03-23. Ott, Jonathan (1995). “Ethnopharmacognosy and Human Pharmacology of Salvia divinorum and Salvinorin A”. Curare. 18 (1): 103–129. Retrieved 2007-08-16. Ott, Jonathan (1996). “Psychoactive Card IV. Salvia divinorum Epling et Játiva: Leaves of the Shepherdess”. Eleusis. 4 (April): 31–39. Retrieved 2009-04-04. Pendell, Dale (1995). “The Salvia divinorum chapter”. Pharmako/Poeia: Plant Powers, Poisons, and Herbcraft. San Francisco: Mercury House. ISBN 978-1-56279-069-1. Peterson, Sen. Karen (2006). “Chapter 256—Formerly Senate Bill No 259 (aka “Brett’s Law”)”. An Act to Amend Title 16 of the Delaware Code Relating to the Uniform Controlled Substances Act. The General Assembly of the State of Delaware. Retrieved 2007-10-16. Prisinzano, Thomas E. (2005). “Psychopharmacology of the hallucinogenic sage Salvia divinorum“. Life Sciences. 78 (5): 527–531. doi:10.1016/j.lfs.2005.09.008. PMID 16213533. Archived from the original on 2007-10-11. Retrieved 2006-12-21. Prisinzano, Thomas; Kevin Tidgewell; Wayne W. Harding (2005). “k Opioids as potential treatments for stimulant dependence”. The AAPS Journal. 7 (3): E592–E599. doi:10.1208/aapsj070361. ISSN 1550-7416. PMC 2751263. PMID 16353938. Przekop P; Lee T (2009). “Persistent psychosis associated with salvia divinorum use”. The American Journal of Psychiatry. 166 (7): 832. doi:10.1176/appi.ajp.2009.08121759. PMID 19570943. Reboletti, Rep. Dennis (January 2007). “Full Text of HB0457”. Cont Sub-Salvia divinorum. Illinois General Assembly. Retrieved 2007-10-16. Reboletti, Dennis (March 2007). “Reboletti Passes First Bill, Bans “Magic Mint““. Illinois State Representative Dennis M. Reboletti (R) 46th District. Archived from the original on 2007-06-08. Retrieved 2007-06-08. Reisfield, Aaron S. (1993). “The botany of Salvia divinorum (Labiatae)”. SIDA, Contributions to Botany. 15 (3): 349–366. Retrieved 2007-05-04. Reisfield, Aaron S. (1987). Systematic studies in Salvia L. (Lamiaceae) with special emphasis on subgenus Calosphace (Benth.) Benth. section Dusenostachys Epl. University of Wisconsin – Madison. p. 199. Retrieved 2009-04-05. Roth, Bryan L.; Baner, Karen; Westkaemper, Richard; Siebert, Daniel; Rice, Kenner C.; Steinberg, SeAnna; Ernsberger, Paul; Rothman, Richard B. (September 2002). “Salvinorin A: A potent naturally occurring nonnitrogenous kappa к opioid selective agonist”. PNAS. 99 (18): 11934–11939. Bibcode:2002PNAS…9911934R. doi:10.1073/pnas.182234399. PMC 129372. PMID 12192085. Retrieved 2007-03-24. – supporting info table 1, table 2, table 3. Roth, Bryan L. (July 2007). “Fast Moving Fronts—Comments by Professor Bryan Roth”. Essential Science Indicators (ESI). Archived from the original on 2007-10-06. Retrieved 2007-10-06. Rothman, RB; DA Gorelick; SJ Heishman; et al. (April 2000). “An open-label study of a functional opioid kappa antagonist in the treatment of opioid dependence”. Journal of Substance Abuse Treatment. 18 (3): 277–281. doi:10.1016/S0740-5472(99)00074-4. PMID 10742642. SAMHSA (February 2008). “The NSDUH Report: Use of Specific Hallucinogens: 2006”. Substance Abuse and Mental Health Services Administration, Office of Applied Studies. Archived from the original on 2008-05-10. Retrieved 2008-05-09. Schenk, S.; Partridge, B. (April 2001). “Effect of the kappa-opioid receptor agonist, U69593, on reinstatement of extinguished amphetamine self-administration behavior”. Pharmacol Biochem Behav. 68 (4): 629–34. doi:10.1016/S0091-3057(00)00478-0. PMID 11526958. Schultes, Richard Evans; Albert Hofmann (1992). Plants of the Gods: Their Sacred, Healing and Hallucinogenic Powers. Rochester, Vermont: Healing Arts Press. ISBN 978-0-89281-406-0. Retrieved 2007-06-27. Seeman P; Guan HC; Hirbec H (August 2009). “Dopamine D2High receptors stimulated by phencyclidines, lysergic acid diethylamide, salvinorin A, and modafinil”. Synapse. 63 (8): 698–704. doi:10.1002/syn.20647. PMID 19391150. Shulgin, Dr. Alexander; Ann Shulgin (1997). “LSD-25”. PiHKAL. Berkeley: Transform Press. ISBN 978-0-9630096-9-2. Siebert, Daniel (June 1994). “Salvia divinorum and salvinorin A: new pharmacologic findings”. Journal of Ethnopharmacology. 43 (1): 53–56. doi:10.1016/0378-8741(94)90116-3. PMID 7526076. Siebert, Daniel (2003). “The history of the first Salvia divinorum plants cultivated outside of Mexico”. The Entheogen Review. XII (4). Retrieved 2009-11-28. Siebert, Daniel (2004). “Localization of Salvinorin A and Related Compounds in Glandular Trichomes of the Psychoactive Sage, Salvia divinorum”. Annals of Botany. 93 (6): 763–71. doi:10.1093/aob/mch089. PMC 4242294. PMID 15087301. Retrieved 2009-04-13. Siebert, Daniel. “How to Propagate and Grow Salvia divinorum”. The Salvia divinorum Research and Information Center. Retrieved 2009-11-16. Siebert, Daniel. “How to obtain effects from smoked Salvia divinorum“. The Salvia divinorum Research and Information Center. Retrieved 2007-06-19. Siebert, Daniel. “The Salvia divinorum FAQ”. The Salvia divinorum Research and Information Center. Retrieved 2007-07-05. Sage Student; Daniel Siebert. “The Salvia divinorum User’s Guide”. The Salvia divinorum Research and Information Center. Retrieved 2007-06-27. Siebert, Daniel. “Salvia Divinorum Inspired Arts”. The Salvia divinorum Research and Information Center. Retrieved 2007-06-28. Singh, Sundeep (May 2006). “Case Report: Adolescent salvia substance abuse”. Addiction. 102 (5): 823–824. doi:10.1111/j.1360-0443.2007.01810.x. PMID 17493110. Archived from the original on 2013-01-05. Strain, Rep. Michael G. (2005). “Louisiana Law, Revised Statutes, Rule Number 40, Section Number 989.1 — Unlawful production, manufacture, distribution, or possession of hallucinogenic plants”. The Louisiana State Legislature. Retrieved 2008-09-15. Sullum, Jacob (December 2009). “The Salvia Ban Wagon”. Reason Magazine. Retrieved 2009-12-16. Sutton, John (2004). The Gardener’s Guide to Growing Salvias. Workman Publishing Company. p. 19. ISBN 978-0-88192-671-2. Assemblymen Jack Conners and Herb Conaway (April 21, 2006). “Conners/Conaway to sponsor bill outlawing herbal hallucinogen Salvia divinorum: Potent ‘Diviner’s Sage’ Plant Produces Powerful LSD-Like High; Legal Substance Attracts Teen-age Interest via Internet Sites” (press release). Retrieved from PolitickerNJ.com on July 21, 2009. Tidgewell, Kevin; Harding, Wayne; Holden, Ken; Dersch, Christina; Butelman, Eduardo; Rothman, Richard; Prisinzano, Thomas (September 2004). “Neoclerodane Diterpenes as Potential Drug Abuse Therapeutics”. The AAPS Journal. 6 (Theme issue:Drug Addiction—From Basic Research to Therapies (AAPS-NIDA Symposium Frontiers in Science)). Archived from the original on 2008-01-20. Retrieved 2007-05-20. Turner, D.M. (August 1996). “Effects and Experiences”. Salvinorin—The Psychedelic Essence of Salvia Divinorum. San Francisco, CA: Panther Press. ISBN 978-0-9642636-2-8. Retrieved 2007-05-20. Valdés, Leander J. III; Díaz, José Luis; Paul, Ara G. (May 1983). “Ethnopharmacology of ska María Pastora (Salvia divinorum, Epling and Játiva-M)”. Journal of Ethnopharmacology. 7 (3): 287–312. doi:10.1016/0378-8741(83)90004-1. PMID 6876852. Retrieved 2007-05-04. Valdés, Leander J. III; Hatfield, G. M.; Koreeda, M.; Paul, A. G. (May 1987). “Studies of Salvia divinorum (Lamiaceae), an Hallucinogenic Mint from the Sierra Mazateca in Oaxaca, Central Mexico”. Economic Botany. 41 (2): 283–291. doi:10.1007/BF02858975. Retrieved 2009-04-05. Valdés, Leander J. III (2001). “The Early History of Salvia divinorum”. The Entheogen Review. X (1): 73–75. Retrieved 2007-08-16. Wasson, R. Gordon (November 1963). “Notes on the Present Status of Ololiuhqui and the Other Hallucinogens of Mexico”. Botanical Museum Leaflets, Harvard University. 20 (6): 161–212. Archived from the original on 2007-09-28. Retrieved 2007-09-15. YouTube (2008). “YouTube Community Guidelines”. YouTube. Retrieved 2008-09-17. Zhang, Yong; Butelman, Eduardo R.; Schlussman, Stefan D.; Ho, Ann; Kreek, Mary Jeanne (May 2005). “Effects of the plant-derived hallucinogen salvinorin A on basal dopamine levels in the caudate putamen and in a conditioned place aversion assay in mice: agonist actions at κ-Opioid receptors”. Psychopharmacology. 179 (3): 551–558. doi:10.1007/s00213-004-2087-0. PMID 15682306. Retrieved 2007-05-04. Doward, Jamie (2009-04-26). “There are many drugs that help people get out of their minds yet stay within the law – they’re called ‘legal highs‘“. The Observer. Archived from the original on 2009-04-26. Retrieved 2009-04-26. Sherwell, Philip (2009-04-06). “Salvia: more powerful than LSD, and legal”. The Daily Telegraph. Archived from the original on 2009-04-17. Retrieved 2009-04-17. Rohrer, Finlo (2007-11-01). “The mystery sage”. BBC News. Retrieved 2007-11-01. Vince, Gaia (2006-09-29). “Mind-altering drugs: does legal mean safe?”. New Scientist. Retrieved 2006-09-29. Michael, Jenny (2009-04-22). “Man gets deferred sentence for salvia charge”. Bismarck Tribune. Archived from the original on 2009-04-26. Retrieved 2009-04-22. North Dakota. Honeycutt Spears, Valarie (2009-02-09). “Proposal would outlaw hallucinogenic plant salvia”. www.kentucky.com. Archived from the original on 2009-02-09. Retrieved 2009-02-09. Kentucky. “Salvia Divinorum: Nebraska Man is Acquitted of Sales Charge, But the Plant is Under Continued Attack There and Elsewhere”. the Drug Reform Coordination Network (DRCNet). 2009-01-30. Nebraska. Mason, Edward (2009-01-30). “City politician seeks to snuff out fad”. The Boston Herald. Archived from the original on 2009-02-06. Retrieved 2009-02-06. Michael, Sara (2009-01-28). “Lawmakers seek to make hallucinogenic herb illegal”. The Baltimore Examiner. Archived from the original on 2009-02-06. Retrieved 2009-02-06. Maryland. Sarno, David (2008-09-12). “Inspecting YouTube’s ban on “drug abuse” videos”. Los Angeles Times. Archived from the original on 2008-09-17. Retrieved 2008-09-17. Sack, Kevin & Brent McDonald (2008-09-08). “Popularity of a Hallucinogen May Thwart Its Medical Uses”. The New York Times. New York: NYTC. ISSN 0362-4331. Archived from the original on April 5, 2014. Retrieved 2008-09-12. Michael, Jenny (2008-08-03). “Drug outlawed in North Dakota puts man on the spot”. Bismarck Tribune. Archived from the original on 2008-08-25. Retrieved 2008-08-25. North Dakota. Sege, Irene (2008-07-22). “Trying to outlaw an herbal high”. The Boston Globe. Archived from the original on 2008-07-25. Retrieved 2008-07-25. Massachusetts. Shafer, Jack (2008-05-06). “Salvia Divinorum Hysteria – The Press Helps Fuel The Next ‘Drug Menace‘“. Slate Magazine/Washington Post. Archived from the original on 2008-05-10. Retrieved 2008-05-10. McNamara, Neal (2008-04-30). “A trip down salvia lane…” City Pulse – Lansing. Archived from the original on 2008-05-10. Retrieved 2008-05-10. Michigan. “North Dakota Man Facing Years in Prison After Buying Salvia Divinorum On eBay”. the Drug Reform Coordination Network (DRCNet). 2008-04-25. North Dakota. Chancellor, Aubrey Mika (2008-03-14). “Salvia Ban in San Antonio?”. WOAI – News 4. Archived from the original on 2008-03-17. Retrieved 2008-03-17. Texas (+ viewer/reader feedback). Hoyle, Suzanne; Harris, Alexander (2008-03-12). “Salvia’s herbal high spurs push for ban”. The Miami Herald. Archived from the original on 2008-03-17. Retrieved 2009-07-20. Florida (story includes online poll). White, Steve (2008-01-08). “Lawmakers Want to Ban YouTube Drug”. Nebraska TV. Archived from the original on 2008-01-08. Retrieved 2008-01-08. Berry, Jeniffer (2008-01-07). “Salvia becomes new drug threat among teens”. KHAS TV News 5. Archived from the original on 2008-01-10. Retrieved 2008-01-08. Nebraska. Wallace, Todd (2007-11-26). “Indiana’s Legal High: Teens Turned On To Powerful Drug”. Indianapolis News (6News). TheIndyChannel.com. Archived from the original on 2007-11-27. Retrieved 2007-11-27. Indiana (story includes online poll). Follow-up story: “Indiana’s Legal High: Regulating Substance Faces Long Road”. 2007-11-27. Archived from the original on 2007-11-29. Retrieved 2007-11-29. Moran, Terry & Max Culhane (2007-10-03). “Parents Blame Exotic Plant for Son’s Suicide”. Nightline. ABC News. Archived from the original on April 5, 2014. Retrieved 2007-10-06. Smith, Tracy (2007-09-25). “Mom Says Legal Herb Killed Son”. CBS News. Archived from the original on 2007-10-22. Retrieved 2007-10-22. Viren, Sarah (2007-08-23). “‘Magic mint’ Salvia drug gains attention”. Houston Chronicle. Retrieved 2009-07-20. Chalmers, Mike (2007-08-03). “Parents sue over dead son’s salvia use”. The News Journal. p. B.1. Archived from the original on September 2007. Retrieved 2007-08-08. Baskin, Roberta (2007-07-11). “Exclusive I-Team Investigation of a hallucinogenic drug that has begun to sweep the nation”. abc7News(WJLA-TV). Archived from the original on September 27, 2007. Retrieved 2007-07-13. Washington. Tompkins, Al (2007-07-13). “More Seeking Salvia, the Legal High (Q&A with WJLA-TV’s Roberta Baskin)”. The Poynter Institute. Archived from the original on 2007-07-13. Retrieved 2007-07-13. Allday, Erin (2007-06-27). “Legal, intense hallucinogen raises alarms”. San Francisco Chronicle. Archived from the original on 2007-06-27. Retrieved 2007-06-27. California. Martell, Chris (2007-06-18). “Herb is as potent as LSD”. Wisconsin State Journal. Retrieved 2009-07-26. newspaper’s full front page (pdf, archived from the original) + related story link:Herb is as potent as LSD + WSJ reader’s opinions (as published, archived from the original). Rose, Sontaya (2007-05-10). “New High Sweeping Central Valley Teens”. abc30ActionNews. Archived from the original on 2007-06-20. Retrieved 2007-05-10. California. Eckenrode, Vicky (2007-03-08). “Ban on mind-altering herb weighed in legislature”. Savannah Morning News. Retrieved 2007-10-17. Georgia. Clark, Aaron (2007-03-05). “Oregon lawmakers consider banning legal hallucinogenic”. The Worldlink/Associated Press. Archived from the original on 2007-05-28. Retrieved 2007-10-16. Oregon. Masis, Julie (2007-02-28). “Mexican drug gains U.S. following”. Reuters. Archived from the original on 2007-05-28. Retrieved 2007-08-22. Boston. DeVine, Josh (2007-02-19). “New legal herb may do more damage than LSD”. abc12(WJRT). Archived from the original on February 22, 2007. Retrieved 2007-02-19. Michigan. Sanchick, Myra (2007-02-15). “Salvia: Underground Drug Getting Attention”. Fox6News Milwaukee WITI-TV. Archived from the original on October 17, 2007. Retrieved 2007-06-18. Sanchick, Myra (2007-02-14). “Salvia: The New Pot”. Fox6News Milwaukee WITI-TV. Archived from the original on October 11, 2007. Retrieved 2007-06-27. Haskell, Meg (2007-02-08). “Amended salvia bill limits sales”. Bangor Daily News, Maine. Archived from the original on 2007-02-22. Retrieved 2007-10-16. “Lawmakers hear about a new drug”. KXMBTV. 2007-01-31. Archived from the original on 2007-05-28. Retrieved 2007-07-17. Haskell, Meg (2007-01-23). “Lawmakers hear arguments on salvia ban”. Bangor Daily News. Archived from the original on 2007-02-20. Retrieved 2007-07-16. Quinones, Todd (2006-11-30). “Deadly Dangers Of A Street Legal High”. CBS 3 Philadelphia. Archived from the original on 2007-12-30. Retrieved 2007-07-17. Dujanovic, Debbie (2006-11-30). “Dangerous Herb is Legal in Utah”. KSL. Archived from the original on 2007-07-18. Retrieved 2007-07-17. Follow-up story: Lawmaker Responds to Investigative Report on Dangerous Herb, 2006-11-28. Cardall, Duane. KSL Editorial, 2006-12-01. Blake, Katherine (2006-11-13). “DEA Warns Over-The-Counter Drug Is Like Acid”. CBS 4 Denver. Archived from the original on 2007-05-28. Retrieved 2007-06-27. Chalmers, Mike (2006-05-06). “Salvia’s Banned, but now the tough part”. The News Journal. p. B.1. Archived from the original on 2007-09-17. Retrieved 2007-10-14.
Cooper, Anderson (2006-04-13). “Salvia: Legal but Lethal”. CNN. Archived from the original on 2007-05-28. Retrieved 2007-07-17. “Cheap, Legal And Dangerous—Salvia Hits Area”. NBC10. 2006-04-11. Archived from the original on 2008-01-05. Retrieved 2007-10-22. Schaper, David (2006-03-20). “Scientists See Research Value in Salvia”. NPR (National Public Radio). Archived from the original on 2007-10-06. Retrieved 2007-10-06. Broadcast transcript. Jones, Richard Lezin (2001-06-09). “New Cautions Over a Plant With a Buzz”. The New York Times. Archived from the original on 2007-12-11. Retrieved 2007-12-11.